From the Dashboard of your site, go to Appearance → Customize. The header image dimensions are 1800×680 but can be any size. The image will be stretched to cover the header area at all times. That means a square image will appear cropped for widescreen displays. From the Dashboard of your site, go to Appearance → Customizer. Expand the Header Image section in the Customizer. You can select a previously uploaded image, or add a new image by clicking the Add new image button. You can drag-and-drop an image into the Upload Files section, or search your computer by clicking the Select Files button. After the image uploads click the Select and Crop button. 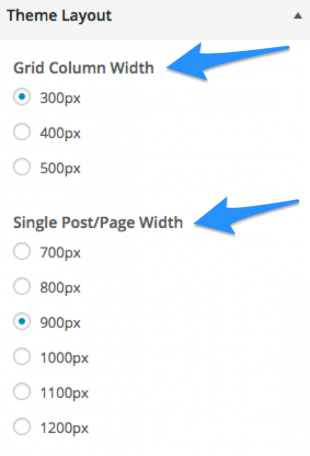 WordPress will offer an option to crop the image or skip. If you don’t want to crop the uploaded image, click Skip Cropping. The crop box is set at the suggested ratio, so we recommend not changing the crop ratio, but position the overlay to the desired crop and click the Crop Image button. Shabam! 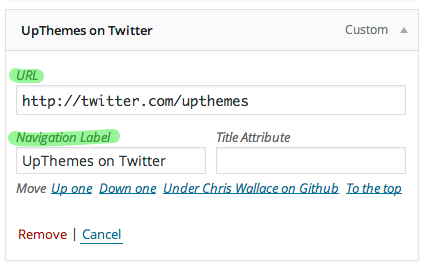 Wait a few seconds and the Customizer will update to display what the Header will look like with the new image. If all looks good, click the Save & Publish button and you are good to go! Example of how the full bleed image works. Navigate to Appearance → Background. Then choose Colors and you can see you can choose your header, background, and accent colors. Here you can choose the width of the grid column and the width of the primary column on single posts and pages. Depending what size you choose the page layout will change. From the Dashboard go to Appearance → Menus. Gallery is unique in that it allows you to display embedded media content on your index/archive/search pages, as well as inside your post content. Whenever the Gallery theme finds embedded media from a third-party provider, it will automatically display the first media item on index/archive/search pages. For example, if you placed the following URL in the content of a post, the media from that URL would show up on grid layouts in place of the featured image. 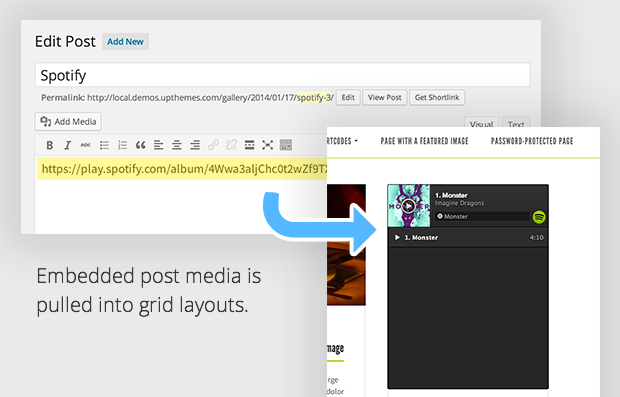 This feature has been tested with some of the major oembed providers, such as Vimeo, YouTube, Rdio, Spotify, and Soundcloud, but may not work for providers with a minimum embed size greater than 300 pixels, due to the size of grid layout items. When using the “link” post format, the first link found within the content of the post will replace the primary heading permalink from any archive or listing template. That means visitors will be able to click the title of a “link” post and go directly to the URL you linked. The Gallery theme offers a widgetized zone in the footer. One aspect to note is that you have the option of a two or three column block of widgets depending on the number of widgets you add to the footer. If you add widgets in multiple of threes (3, 6, 9, 12, and so on) the widgets will display in a three column grid. If the number of widgets are not a multiple of three then they will display in a two column grid. The content width is 620px wide. Featured images are set to display at 620px wide by unlimited height.